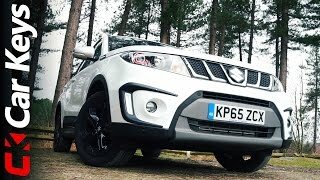 Suzuki comes with its new model Suzuki Vitara S 2016 after the success of its Suzuki Vitara which became the Company’s second-biggest- seller after the Swift. There are plenty of features in this boxy little crossover. 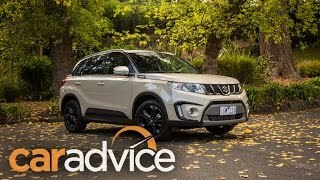 Let us have a close look at the reviews of Suzuki Vitara S 2016 and get to know more about it. The Interior of Suzuki Vitara S 2016 is as classy as Vitara’s. The cabin has a edgy design with plastic bits running along the instrumental panel and the louvre rings around the air vent can be swapped out for different colors (Black, Turquoise, White, Orange, Ivory, Bright Red). It also offers Leather seats with suede inserts & red stitching, Red-accented interior, seven airbags and the Power windows and mirrors. There’s Apple CarPlay connectivity, plus climate control, Bluetooth/USB, cruise control with speed limiter and electric-folding door mirrors enhancing the technology of the boxy little crossover. 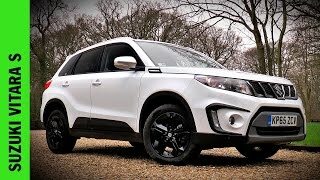 The exterior of Suzuki Vitara S 2016 has a chunky design which makes the car appear bigger, tougher and more upmarket than the previous versions the Company launched. Starting from the front fascia the company has introduced the new chrome grille, LED headlights and the Auto leveling headlights with auto on/off options. It also offers the Silver electric folding door mirrors, rain-sensing wipers, Front and rear parking sensors and the 17-inch black alloy wheels. 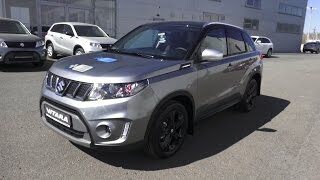 There’s a range of cool bright colors and the optional two-tone black roof (an extra $995) which will add some character to the little crossover Vitara S.
Suzuki Vitara S 2016 comes with the power of new 1.4 turbo engine. It is better on fuel than the slower Vitara. Adding more standard, it has six-speed automatic transmission with torque converter and steering wheel-mounted paddles. This all features make the little crossover more powerful and a solid package than its predecessors. 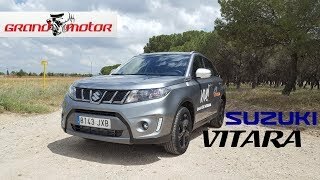 The performance figures of Suzuki Vitara S 2016 are still not shared, however we expect to have them very soon.